The most basis function of the government is to provide a frame work of law and order. Dear law abiding citizens of Palamu, this is indeed a golden opportunity to interact with you through this message. Palamu has been a town with it own long drawn history & cultural traditions. It is full of bounty of nature & has heritage of a glorious civilization. But unfortunately it has been facing security challenges for quite some time be it naxal menace, land disputes to name a few. It’s now the right time for us to rise up to counter these challenges & rout the law offenders & felons. The Police of Palamu is dedicated to serve the common man & to help them in moments of distress. Its our constant endeavour to maintain law & order, curb crime, generate respect for right of individual & basic inalienable human rights. Moreover we assure you to provide a milieu of peace & tranquility to help lay a sound platform for development. We have been on the right track & have achieved some success in our attempts toward enhanced security environ but still we have miles to go. There is a desperate need of the hour that the police & common citizen join hands to combat criminals. In this direction we further need a ice breaking between the police & common man. The common man should consider police its friends & should not hesitate to share their problems. They shored share information about any possible security threat so that it can be neutralized at the earliest. Remember together we can & we will make difference and I am sure that in the coming days Palamu will turn into a security paradigm to emulate. Palamu is bounded in the north by the River Sone, in the East by the district of Aurangabad, Gaya & Chatra in the west by the district of Garhwa and in the south by Lathehar district. The plateau of Palamu extends over an area of 127,490 km which is full of forest, rivers and rivulets, hills and hillocks, waterfalls and stream, Palamu is situated between 23°20'N and 24°40'N to 85°0'E at an altitude of 222.00 mm above mean sea level. The normal rainfall in Palamu is 1257.8 mm. 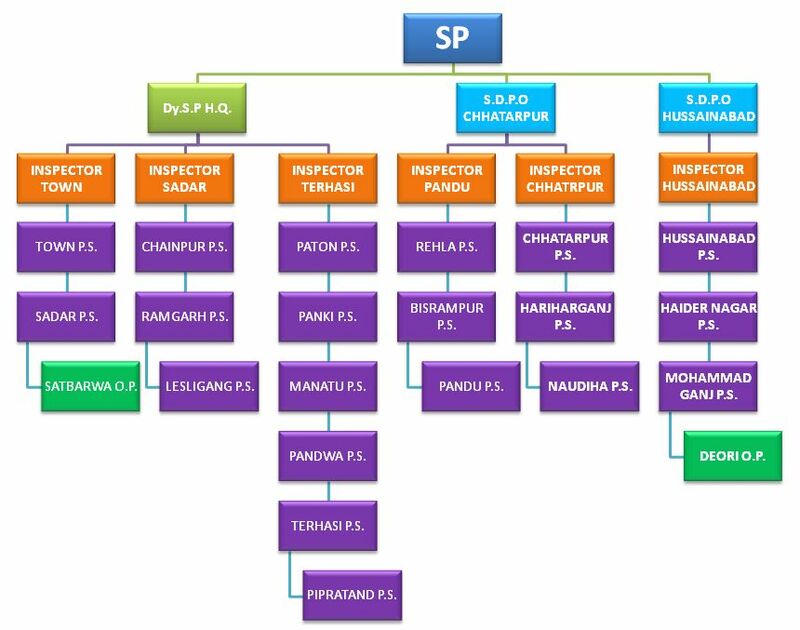 For administrative convenience the district has been divided into three subdivision, 13 blocks and 289 Grampanchayats with 1910 villages. The important town of the district are Daltonganj, Chhattarpur and Japla. Agriculture is the main source of economy for the rural people of the district. However agriculture is mainly for subsistence and is yet to be taken up on a commercial basis due to lack of irrigation facility and other infrastructure bottlenecks. Palamu is one of the richest district of Jharkhand in forest in forest resources. The species of forest trees which are found in the district include Sal, Dhaure, Mahua, Kendu, Bamboo, Asan etc. The major products of forest include Timber, Palas, Firewood, Sal seed. Mahua seed and Biripata. 222 M. Above mean sea level. CLIMATE:- The District falls under uninsured rainfall zone and hence receives monsoon rains during June to September. The average annual rainfall of the district is 1257 mm spread over many rainy days. The district is characterized by warm climate in March to June and later on there is a gradual decline in temperature from October onwards to December and January is the coolest month of the year, while cool and dry climate is observed during November, March, April and May are the hot and dry months of the district. IRRIGATION:- Palamu has 52113 hectare of gross area irrigated under different sources of irrigation. Tanks and ponds are the major sources of irrigation. From early 80’s naxalism infiltrated Palamu district from different parts of bordering central Bihar, i.e. Aurangabad, Rohats and Gaya district. Gradually it spread in many parts of Jharkhand. From time to time they have changed their organizational setup. 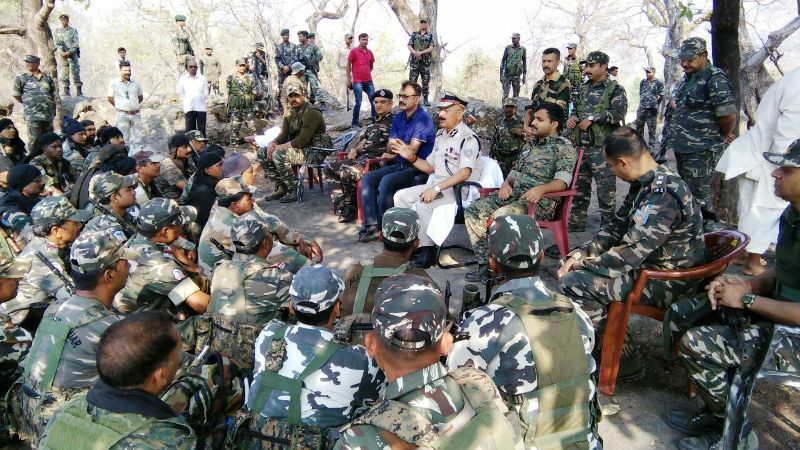 In the recent times Left Wing Extremism has redefined its strategy in Jharkhand and Chattishgarh by forming a “Compact Revolutionary Zone” and launching an operation code named TCOC (Tactical Counter Offensive Campaign). Under this strategy instead of small splinter groups they have formed bigger groups by pooling smaller groups and arming them with sophisticated weapons, including mortar and other area weapons. 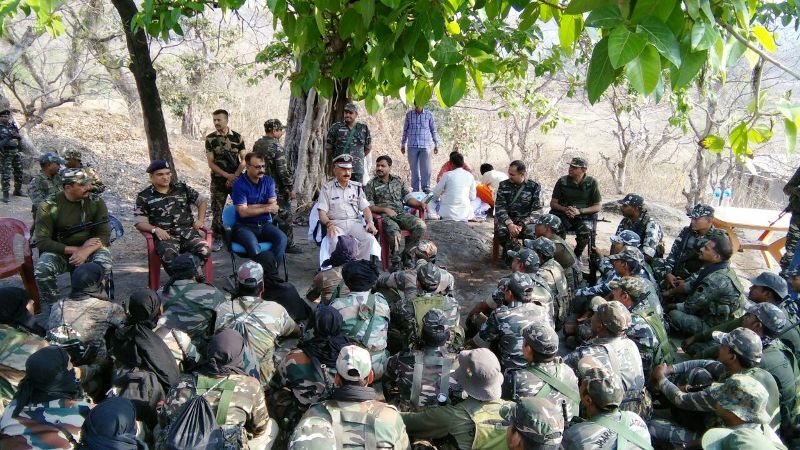 This paradigm shift in their strategy has led to the increased activity by Maoists. They are trying for regaining the dominance in the interiors hampering all governmental activities like construction of road, bridges, other developmental activities. The activities of forest department have been badly hit by their resurgence. Even the threat perception to the visiting V.I.Ps. to the district has increased manifold. The Police set up of the district is up in areas are in offensive mood against them resulting in containing to a large extend their activities. Taking the advantage of the geography of these district dense bushy forests, hillocks, in accessible and much difficult areas. The outfits at times do engage in destructive and anti social activities and take refuge in the jungles. If you splinter groups from the maoist organisation have also come out and formed seperate organisation naming themselves TPC i.e. Tirtiya Prastuti Committee , P.L.F.I. 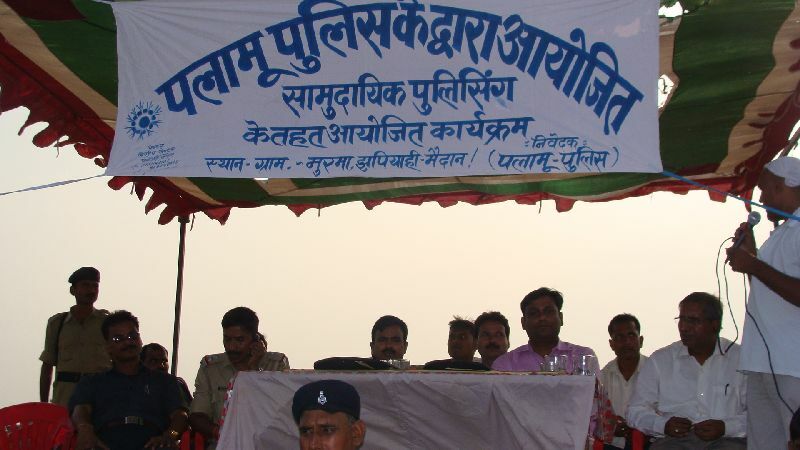 (Peoples liberation Front of India), J.P.C and Jharkhand Janmukti Parishad. Action against all the group are being carried with view to contain these activities. P.S. / Registered Case No. 2 Hussainabad PS Case no. 22/19 Dated 29.01.19 U/S- 25(1-b)a/26 Arms Act 1. 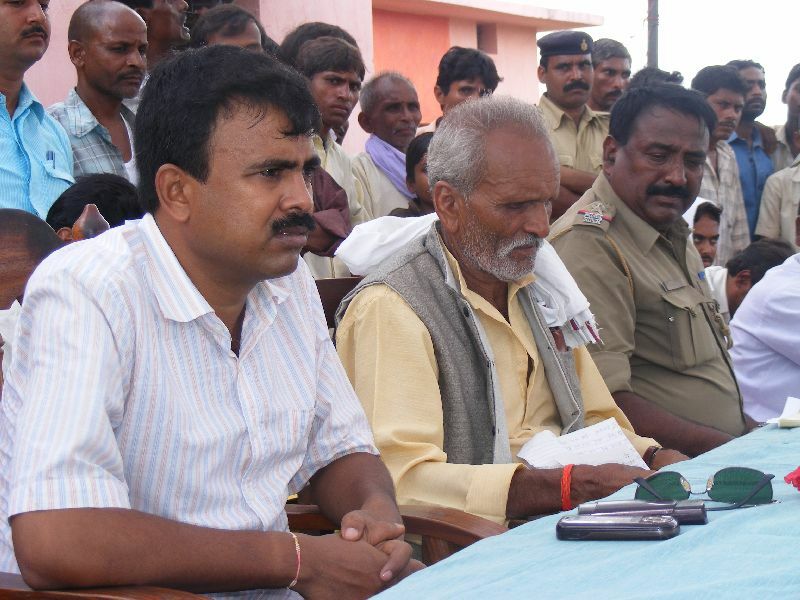 Bipin Kumar Yadav, S/O- Kamdev Yadav Vill- Dhibra, PS-Dhibra, Dist.- Awrangabad. -- Pistol-01 -- Cartridge - 02 Motor Bike JH03S – 4927 HF-DELUEX And OPPO MOBILE. 3. 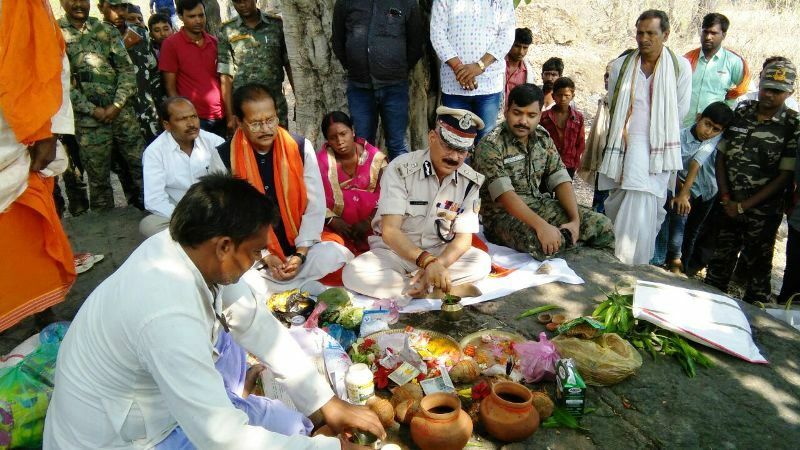 Arjun urawn, s/o Ramnu Uraon, Vill –Bariyatu-PS Balumath Latehar. 4.Md. szad Ansari, s/o Rahim ansari Vill -Baridih Kudu –Distt. Lohardaga. U/S- 399/402/414 IPC & 25(1-a)26/35 Arms Act. 1. Dashrath Uraon (Kawsal Urawn) ,s/o Bahadur Uraon vill -Radhadih Panki ,Palamau. 3. Sandev Uraon,s/o Baldev Uraon vill- Panchferi- PS Panki -Palamau. 4. Harendara Yadav @ Sundar Yadav vill tall ps Panki -Palamau. U/S- 25(1-b)a/26/35 Arms Act 1. Gudu kumar Chandarvansi, s/o Paras Chandarvansi vill -Bypass Road-PS-Lesliganj- Palamau. 2. 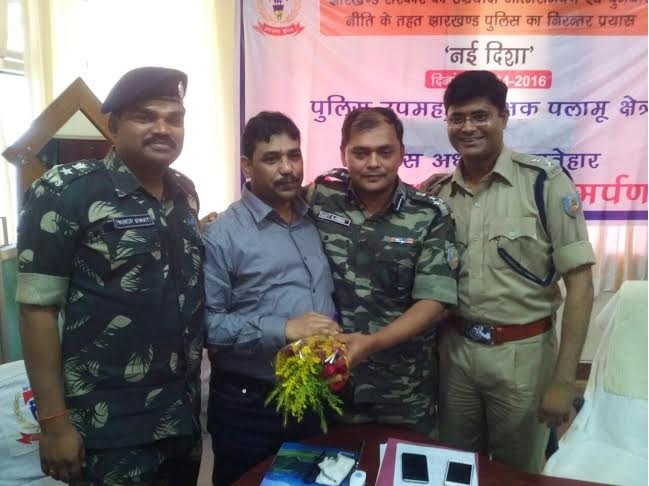 Sudhur Kumar Kuswaha, s/o Sri Dharmdev Mahto PS- Lesliganj -Palamau. U/S-25(1-b)a/26/35 Arms Act 1. Zabir Ansari s/o let Zafar ali vill Yogivir ps majhiawn Garhwa. 2. Papu Singh s/o Ramdeni singh. 3. Savid Alam, s/o Amrullah Ansari Dono vill- Manjholi p.s- Patan dist- Palamau. -- 01 desi katta. U/S- 25(1-b)a/26/35 Arms Act 1. Saddam Hussain, s/o- Zalaludin Ansari. 2. Sazid Ansari, s/o Sabir Ansari. 20 Hussainabad P.S- Case N0.- 143/18 Dated- 09.06.18 U/S- 25(1-b)a/ 26/35 Arms Act. 1.Gautam Singh, S/O- Rambali Singh. 2.Vivek Kumar Singh, S/O- Ashok Singh -Both- Vill- Aman Chain Muhalla, Japla. 3.Chiku Singh, S/O- Dinesh Singh Vill- Dihari Bisharampur All P.S- Hussainabad, Distt- Palamau. 2.Uday Vishawkarma @ Chhotu S/O- Ram Tahal vishawkarma Vill- Jorkat P.S- Sadar, Palamau. 26 Sahar P.S- Case No.- 290/18 Date- 19.08.18 U/S- 399/402/120(b) I.P.C & 25(1-b)a/26/35 Arms Act. 1. Prince Upadhyay, S/o- Rajmuni Upadhyay, Vill- Baralota Rerma. 2. Vikas Tiwari @ Dadan, S/o- Binod Tiwari, Vill- Barkagawn. 28 Ramgarh P.S Case No.- 57/18 Dated 22.11.18 U/S-399/402 IPC & 25(1-b)a/26/35 Arms Act 1. Ranu Korwa S/O- Suresh Korwa, Vill-Nawadih tola Hisra, PS-Ramgarh. Distt- Palamau. 2. Mangal Hembarm S/O- Herman Hembarm, Vill-Nawadih tola Hisra, PS-Ramgarh. Distt- Palamau. 2. Dukhi Pal Both S/O- Late Ramdev Pal vill- Palwa, PS-Chhatarpur, Dist.-Palamau. 30 Hussainabad P.S Case No.- 272/18 Dated 06.11.18 U/S- 25(1-b)a/26/ 35 Arms Act 1. Naresh Ram @ Nawin S/O-Bigan Ram, Vill-Pachheyari Beni, PS-Tandwa, Dist.-Aurangabad. 2. Mukesh Kumar Ram S/O- Rampati Ram, vill- Pipardih, PS-Tandwa, Dist.-Aurangabad. 4. Shashi Bhushan Singh, S/O- Chandrika Singh. Sabhi Vill-Sikka, P.S- Pandwa, Dist.-Palamau. -- Desi Katta- 02 -- Cartridge- 04 Knife-01, Motor Vehicle-01, Poly Bag-01, Wine-01. 14 Hariharganj Ps Cas no - 51/17 ,Dated 17.07.17 U/S- 379/402 IPC &25(1-b)a26/35Arms Act. 1. Ramesh kumar @ verma ji , S/O-- vijay kumar sing, Vill- Hamjapur , PS- Aams , dist- Gaya. 2. Santosh kumar Mehta @ Santosh kumar, Vill- Apki ,PS- kasama ,dist- Aurangabad. 3. 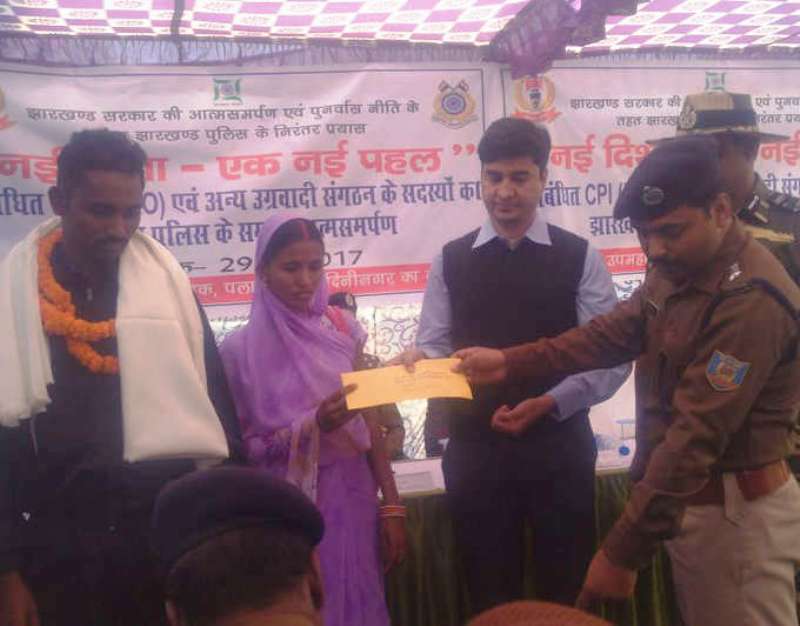 Amarjeet yadav @ muna, S/o- Bhim yadav , Vill- Bhusbhusiya, PS- sherghati ,dist – Gaya. 4.Manjeds kumar, S/O-- Let. Ramvatar prsad ,Vill- kazz, tola- chak, Bigha, PS-Gurua, dist-Gaya. 5. Ashok mahto @ vijay @ Rahul, S/O- Late. Goverdhan mahto , Vill- chandri ,PS- partapur , dist- chatra. U/S- 25(1-A) 26/35 Arms Act 1. Jay Parkash Shahu @ Vikash. 2- Munni Sharma, S/O-Belash Sharma, Both Vill- Selari p.s- Tarhsi Dist- Palamu. 30 Husanabad P.S.Case No152/14 Date 28.11.14 U/S-394/307 I.P.C.25(1-b)a,26/27/35 Arms Act 1.Bijay kumar Singh S/O-Jeewan singh Vill-Adyapur P.S.-Sasaram Dist-Rohtas. Present Addres-Relway Kolny p.s.- Barun Dist- Aurangabad. 2-Chandan kumar Bhueyan S/O-Raj kumar Bhueyan Vill- Magho Didri Both P.s.-Lesliganj; Dist- Palamu. 3- Arvind kumar singh S/O- Nagina singh Both Vill- Sildiliya P.s.- Terhasi Dist- Palamu. 44 SadarTown P.S.Case No 327/14 Date 09.06.14 U/S-25(1-b)a 35 Arms Act 1-Akash Chandrabansi S/O- Nirmal kumar Vill-Bank kolini Aghor Asram p.s- Town Dist- Palamu. 2-Chott @Lalu Ram S/O-Let Nandu Ram Vill- Bank kolini P.s.- p.s- Town Dist- Palamu. 49 SadarTown P.S.Case No 572/14 Date 11.11.14 U/S-392/411 I.P.C. 25(1-b)a 26/35 Arms Act 1-Ajeet Sukla S/O- Madan Sukla Vill-Palhe kurd p.s- Patan Dist- Palamu. 2-Sanjeew Sukla @Kanhaiya Sukla S/O- Jogendra Sukla Vill- Palhe kurd p.s- Patan Dist- Palamu. 51 SadarTown P.S.Case No 636/14 Date 15.12.14 U/S- 25(1-b)a 26/35 Arms Act 1-Rajesh Prasad @ Bhel Sinha S/O- Sumeswer Prasad @ Sumeswer Lal Sinha Vill-Kund Muhala p.sSahar Dist- Palamu. 1 Hussainabad P.S Case No.- 01/19 Dated 07.01 19 U/S -25(1-b)a/26/35 Arms Act & 17 C.L.A Act. 1. Rajgirih Paswan @ Sanjay Paswan @ Kamta Paswan, S/O- Late Nageshwer Paswan Vill- Piparwar PS- Hussainbad Distt- Palamau. 3. Patan ps case no. 50/18 dated 05.05.18 u/s 25(1-b)/ A-26/35 arms act & 17 CLA act 1.Rajkumar Paswan (Raju), S/O- Bigan Paswan vill- Chawkhada p.s- Lesliganj Dist- Palamau. 3.315 bore Rifle-01 -- -- 1.S.L.R carties-443. 6 Mohammadganj P.S Case No.- 44/18 Dated 19.10.18 U/S -25(1-b)a/26/35 Arms Act & 17 C.L.A Act. 1. Kuldeep Yadav @ Jharkhandi S/O- Uday Yadav, Vill- Chor Pahar Tola- Jawhi, PS-Hussainabad, Dist.-Palamau. 2. Binod Panday S/O- Nandu Panday Vill- Jaswali, PS-Baruraj, Dist.-Muzaffarpur. 3. Akshay Kumar Yadav S/O- Biggu Yadav, Vill- Kadal Kurmi, PS-Mohammadganj, Distt-Palamau. 4. Janaki @ Nawal Kishor Kherwar, S/O- Matan Singh, Vill- Turmunda, PS-Hussainabad, Dist.-Palamau. 5. Pappu Chandarvanshi S/O- Late Rajendra Chandarvanshi, Vill- Maghe Kachahari Jamua, PS-Hussainabad, Dist.-Palamau. 19 Lesliganj PS Case no. 140/17 ,Dated 22.10.17 ,U/S- 25(1-b)a/26/35 Arms Act 17 CLA Act 1. 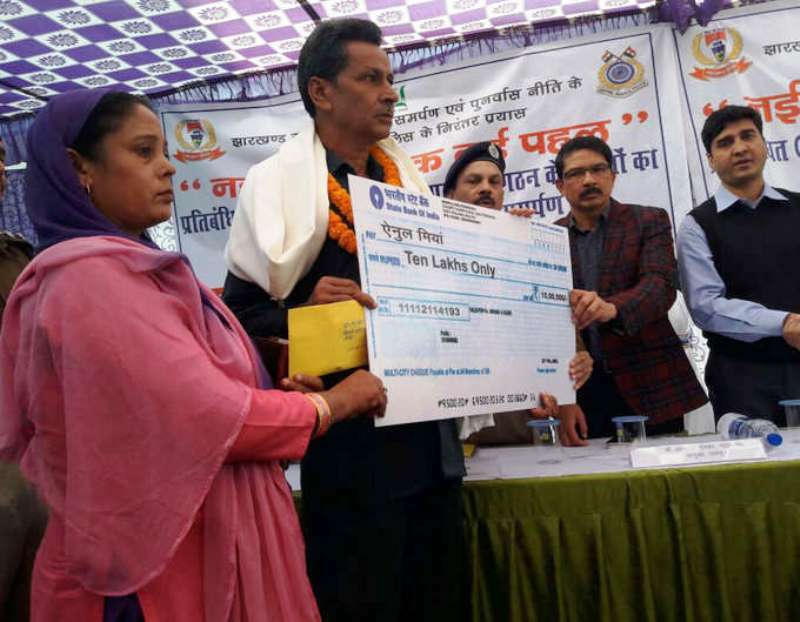 Dharmendara Singh, Vill- munariya chiriyatand. 20 Sadar PS Case no. 160/17 ,Dated 22.11.17 ,U/S- 399/402 IPC 1. Sabir Miyan, S/O-- mokhatar miyan Vill- juru PS- lesliganj.Distt- palamau. 2. Guddu Ram @ Prabendar Ram S/O-- kameshaewr ram Vill-keraki madan PS-panki Distt-palamau. 7 Panki PS Case no. ,Dated 07.06.15 74/15 ,U/S- 414/25( 1-b) A26/35 Arms Act & 17 C.L.A Act 1. Vijay Yadav @ Kunal Jee, S/O-- Kedar Yadav, Vill-Jaspur, PS- Manatu. 02-10-2010 to 09-10-2010 Under the Community Policing Cricket Match Played at Pandwa P.S. To View More Photos Go To Picture Gallery. 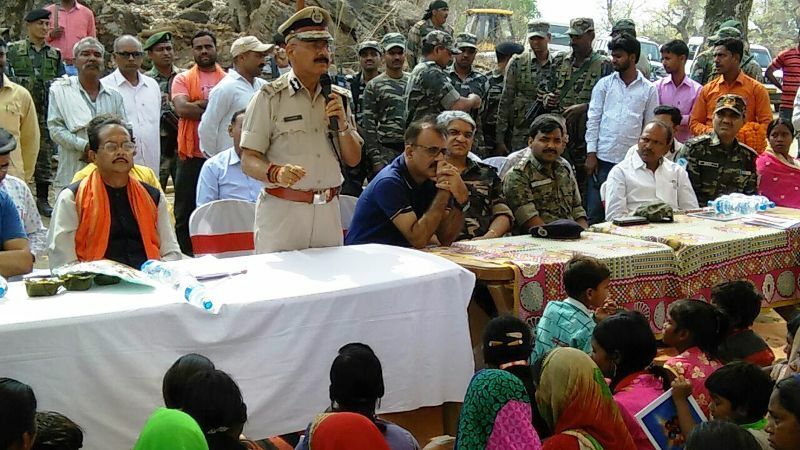 Details of benefits/incentives paid and due of surrendered naxals. 1 Palamu Raja Paswan S/O Late Hariher Pasawn of village Pokhri p.s Pandu Dist Palamu CPI (Maoist) A.C. 21-05-2011 Ex-Gratia – Rs. 2,50,000/- House bldg.- Rs. 50,000/- Total Rs.- 3,00,000/- 1- Land allotment for house bldg. 2- House rent. 3- Tution fee. 4- Govt. job. 5- In lieu of arms. 2 Palamu Vishwanath Singh kharwar @ Binu @ Binod Singh Kharwar S/O Jhhaman Singh of village Ghasidag p.s Bishrampur Dist Palamu. (Killed by Naxalite on Dt. 19.10.2014). CPI (Maoist) S.Z.C. 21-05-2011 Ex-Gratia – Rs. 2,50,000/- Arms- 30,000/- House bldg.- Rs. 50,000/- Total Rs.- 3,30,000/- 1- Vocational training. 2- Land allotment for house bldg. 3- House rent. 4- Tution fee. 5- Govt. job for spouse. 3 Palamu Rajdeo Yadav Deonarayan Yadav S/O Hari Yadav vill Dundu P.S. Pratappur, District Chatra CPI (Maoist) S.Z.C. 28-07-2010 Ex-Gratia – Rs. 2,50,000/- Arms – Rs. 15,000/- House bldg.- Rs. 50,000/- Reward – Rs. 2,00,000/- Total Rs.- 5,15,000/- 1- Vocational training. 2- Land allotment for house bldg. 3- House rent. 4- Tution fee. 5- Govt. job.